There is no innocence anymore. All the transitional information is out there. @CNN discusses basic minimum income for all. @Encouraging us to take the route of slavery to the system again. Now let shine the Light from the new reference point through this ‘old’ way of thinking! Basic income: politics are talking for more then decades already about a basic income and still it is not here. That’s first. Second: the co notations on ‘income’ is that you have to DO something in return to earn this income and that’s not true. It is no income at all, its a restoration because free life entrance is occupied, so this is a compensation, not an income at all. Third: basic income is still about taxing and burdening us, and redistribution of ‘old’ money. The Living Income Guaranteed will assist and support those individuals within society that find themselves in a disadvantaged position as a result of this structural ineffectiveness and inadequacy. Unlike the Basic Income Grant proposals, the Living Income Guaranteed is not unconditionally provided but is allocated through a means-test.First: The co notations on ‘income’ is that you have to DO something in return to earn this income and that’s not true. It is no income at all, its a restoration because free life entrance is occupied, so this is a compensation, not an income at all. Second: The Living Income is ONLY for those individuals within society that find themselves in a disadvantaged position. Third: Its not provided unconditionally but is allocated through a means-test. Both the Basic Income as the Living Income Guaranteed do not transform ANYTHING in the current ‘old’ money system because the MONEY CREATION MOMENT does not change. And both are NOT the corrections of the fact that our direct free access to Earth, Her resources, and each others talents are stolen from us. The One Programming Rule IS already here. Tax money is not needed at all and is illegal: we know this all by now (Taxing Is Illegal). Google on ‘taxing is illegal’ and you will find many hits. But its not needed, its not necessary at all. The One Programming Rule, Existence Money, is one of the ‘New Life Impulses‘ needed to restore the inequity among humans. Creating money out of thin air is NOT the issue. The issue is the creation moment. The ‘right’ creation moment is: Existence Money. Money to be alive physically and for every one (in the region) the same amount. Including money numbers needed for access to health care. We do not need ‘old’ money for this. We do not need tax money for this. We MUST STOP creating money for mortgages and loans. Who can create a mortgage? Who can create a loan? Right the rich ones. And we all know how ‘old’ money works. We do know this for years already. But the ones with BIG houses still are feeling very good by creating HUGE amounts for themselves. And afterwards blaming the banks because of their way of creating money. But many already know, but are not truly facing this. Economists saying that it is about interest. Mortgages drama’s etc. No we have to stop creating money for mortgages and loans immediately. And create Existence Money from now on. Our govt (Netherlands) and the banks are informed, but they refuse and still suppress our free living togetherness. Existence Money does not cost anything and is back within one day. For more in-depth awareness you can join the New Earth Life Academy from the New Paradigm, which is homeschooling! This is on mainstream networks for decades already: at least in the Netherlands and Germany and other European countries. @after they return all the assets that they have stolen from them. You will comprehend by now that we do NOT have to wait for the assets that they have been stolen from us. What they really stole from us is our free access to life and we will have this back with the One Programming Rule (i.e. Existence Money) within one day and this costs nothing! There is no waiting anymore. For years already is not. What is here is the refusal and the suppression of a true living togetherness. Start living together in your own life. Invite the politics who are talking about ‘basic income’ in the Circle of Life. Invite Michael Tellinger in the Circle of Life. Invite all the SWI delegates in the Circle of Life. Invite all the OPPT people in the Circle of Life. I did. Almost all are postponing the true living togetherness. Do you see them sharing Existence Money? Do you see them contributing to the Free Existence of their fellow man? Do you hear them talking about The One Programming Rule (i.e. Existence Money)? Do they STAND FOR their OWN Free Existence and that of their fellow human? Onderstaande song over ‘basisinkomen’ is een inspiratie en dan verdiept naar Equi Living Togetherness…: en nu nog wegstappen van onderdrukking. Jullie kiezen er voor om anderen te onderdrukken: anderen belasten voor een basisinkomen. Maar dat is helemaal niet nodig. Er kan (nee moet) gewoon maandelijks het geld aangemaakt worden voor ons allen om in leven te zijn. En dan bij iedere transactie voortaan automatisch weer een deel hiervan laten oplossen. 1/1000 bijvoorbeeld. Voor dit aangemaakte geld (het zijn gewoon getallen, dat weet iedereen nou wel) is 100% economische back up, want we brengen het onmiddellijk naar de bakker en zo… klaar. 90% van de structuren lossen dan meteen op. Belastingen lossen dan vanzelf op. En ga zo maar door. Kost niks. Niet eens tijd: is binnen 1 dag geimplementeerd in de huidige bank applicaties. Aan het ‘leven’ kant van het verhaal snappen jullie alles al, vanuit een goed gevoel van eigen waarde. Geweldig. Maar aan het ‘wie gaat dat betalen’ kant van het verhaal snappen jullie het nog niet. Het is niet een ander die het hoeft te betalen, jouw in leven zijn. Er is maar 1 programmeer regel nodig in de software van de huidige bankapplicaties. We hoeven niemand te belasten. Jouw goede gevoel van eigen waarde kan simpelweg verwachten, eisen, dat we allemaal deze geldgetallen beschikbaar hebben. De meeste Nederlanders hebben helemaal geen goed gevoel van eigen waarde. Durven het niet normaal te vinden om simpelweg getallen aan te laten maken voor jouw in leven zijn waar al 100% economische back voor is. En dus willen ze een ander belasten. Dat vinden Nederlanders wel normaal….een ander belasten. Nou, DAT dus nog even los laten: weg stappen van het elkaar onderdrukken. The song underhere about ‘basic income’ is an inspiration and then deepend to Equi Living Togetherness…: step away of suppression. You still choose to suppress others and each other: tax others and each other for a ‘basic income’. But this is not necessary at all. It is possible, and this should happen, to create a monthly amount to get every ones basic needs met. And with every transaction a little percentage, for example 1/1000, dissolves (because we our selves do not live for ever). There is 100% economical back up for this created monthly amount of money (money are just numbers in a spreadsheet and by now everybody knows this), because we pay our basic needs, like the bakery for example, with this money… Done! That’s it! 90% of the current burdening systems and structures will dissolve immediately or have to transform. 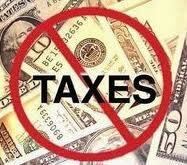 Taxes will dissolve. And so on and so on… Costs nothing. Not even time: is implemented within one day in banking applications. The ‘being alive’ side of the story you already get totally, because you get the meaning of a good feeling of You Being the Value, self love and self respect. Wonderful! But the question ‘who is going to pay’? you do not get already. It is not the other who has to pay your being alive. It only takes One Programming Rule in the software of banking applications. Its not necessary to tax anyone. Your true self love and self respect, your knowing of You Are the Value can simply expect, or rather claim, that all of us has money numbers available. Most (Dutch) people do not have a good feeling of self love and self respect, and are not aware that They Are The Value. They do not dare to simply find it normal to create numbers for their being alive while the 100% economical back up is here already. That’s why they want to tax others. (Dutch) People do agree taxing one another. Well, lose THAT: step away of suppressing one another. Dit bericht werd geplaatst in algemeen en getagged met basic income, basisinkomen, entrance money, entrance to life, life circle, living togetherness, the one programming rule op 6 mei 2014 door mascha roedelof.